In this extraordinary time, when technology takes us places man cannot imagine or see, the lack of a industrial remedy may have cost the New Orleans Saints the Super Bowl when a play a referee did not see led to a call no one could imagine. 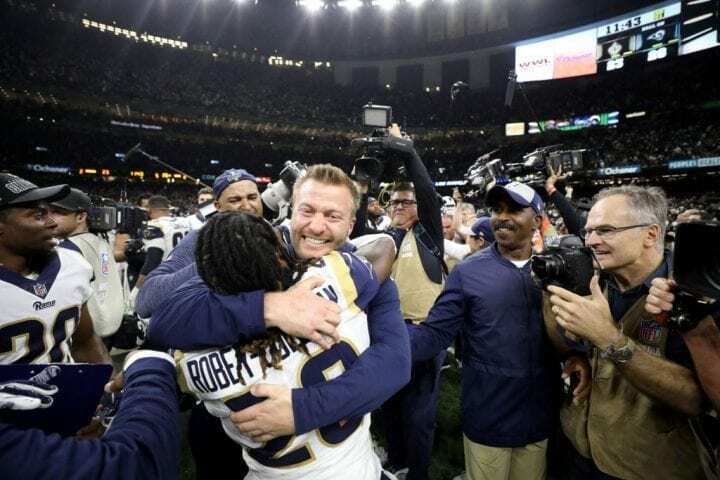 And for as long as the play football in New Orleans, certainly for as long as Sean Payton coaches the Saints, the organization and its fans will also wonder how a penalty that was not called impacted their 26-23 overtime loss to the Los Angeles Rams in the NFC Championship Game. But everyone who saw the play unfold immediately gulped. With the game tied 20-20, 1:45 to play in the game and the Saints sitting thrd-and-10 from the Rams 13, Los Angeles cornerback Nickell Robey-Coleman turned New Orleans receiver Tommylee Lewis in a crash-test dummy while contesting for a Drew Brees pass. Without trying to locate the flight of the ball, Coleman detonated on Lewis so hard it sent him backward into turf. Lewis obviously had no chance to catch the ball after being so impeded and everyone who saw the play figured a pass interference call was coming. In fact, it seemed there had never been so obvious a case of pass interference in the game’s history. Robey-Coleman broke every rule in the book. The flag did not come. The play was ruled an incomplete pass. 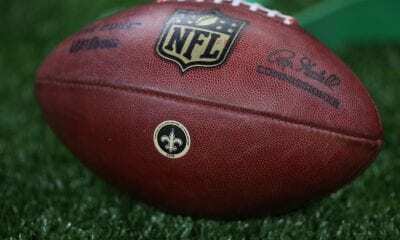 The Saints went nuts, asking for the officials to reconsider and overturn the call which would have provided a first down and a renewed chance to score the game-winning touchdown. After the game, a pool reporter was sent to get a reaction form the game’s referee, Bill Vinovich. Ironically, last week a rabid Rams fan had tried to build interest in a petition asking for Vinovich to be removed from the game because the Rams were 0-8 when he was working with a disproportionate amount of penalty calls against them. 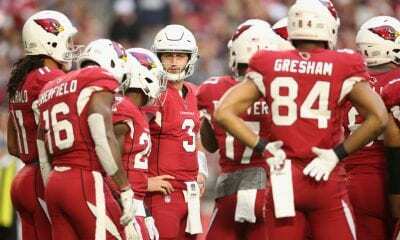 But in a sport that provides instant replay to resolve conflicts about possession, there is no provision for officials to look at video to confirm or overturn calls made about penalties. So egregious was the non-call that even the perpetrator said he was looking for the flag. But the official nearest to play told him the pass had been tipped in flight, which, if true, would have eliminated the chance of pass interference being called. The ball was not tipped. The official blew he call. And it blew the collective minds of NFL fans from Augusta to Anchorage. 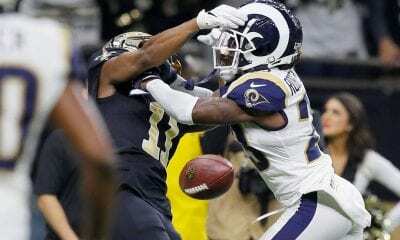 The non-call did not cost the Saints possession, but it forced them to settle for a field goal to take a 23-20 lead instead of killing more time off the clock first. 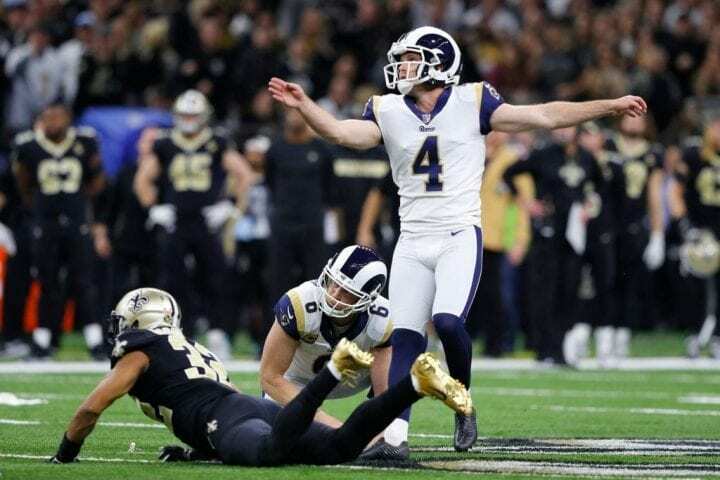 Now here is where you lose sympathy for New Orleans: It would have been enough to win had its defense denied Los Angeles the chance to tie the game at the end of regulation. And it may have won in overtime had an interception of Brees not led to Greg Zuerlein’s game-winning, 57-yard goal. Brees, 40, a future first-ballot Hall of Famer, said after the game he was planning to return and make another run at the Super Bowl. Meanwhile, NFL owners and their competition committee may be forced to evaluate its replay system, perhaps adding the contingency to allow coaches to also challenge pass interference calls. “There’s too much at stake,” said Payton. Perhaps the most interesting point of view about it all was offered after the game by Rams defensive lineman. He was asked what he’d remember most about the game.